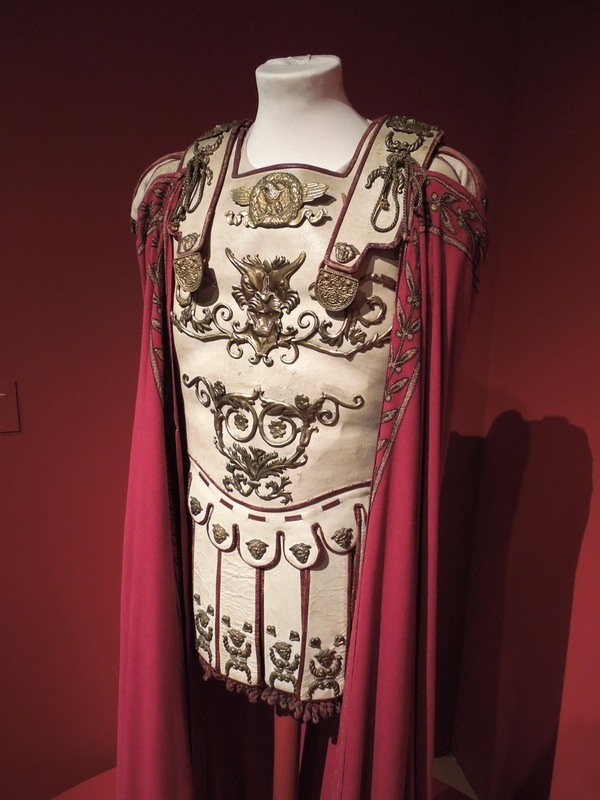 I recently had the good fortune to visit the Stanley Kubrick exhibition at LACMA (Los Angeles County Museum of Art) on January 10, 2013 and was reminded of the amazing repertoire of work the film maker had, from historical epics like Spartacus to genre-defining sci-fi and horror movies. 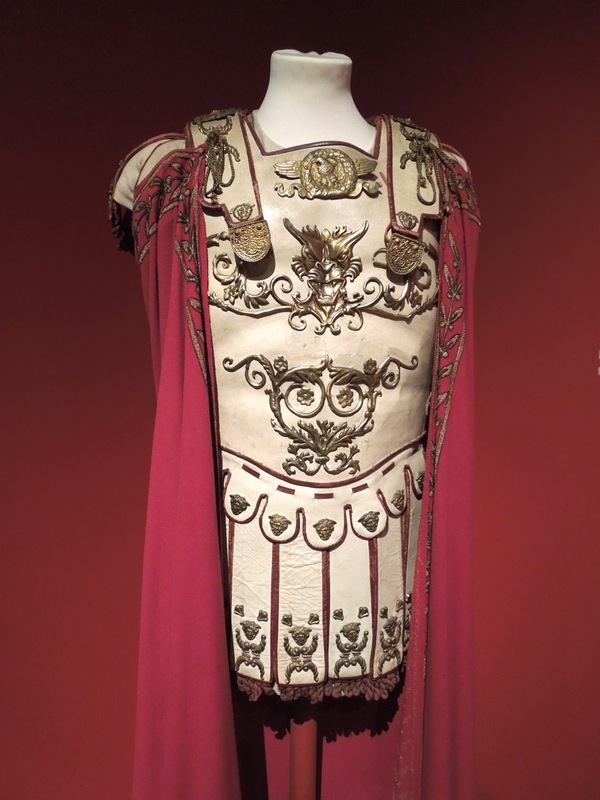 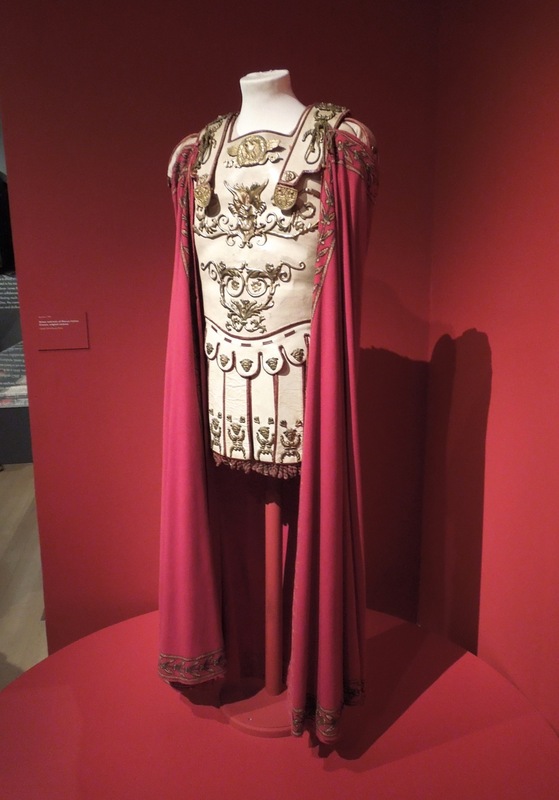 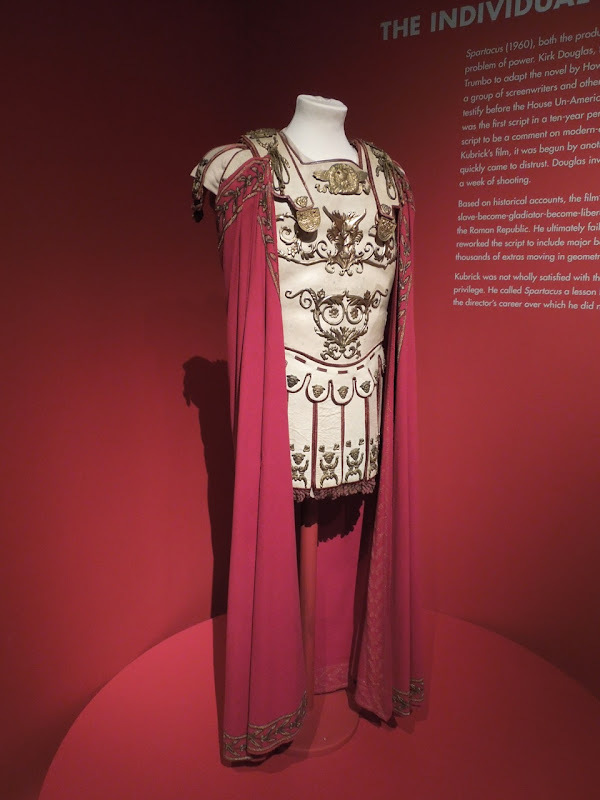 The exhibition had many wonderful original costumes, props and models from his varied film career, including this Roman general and politician outfit worn by Laurence Olivier as 'Marcus Licinius Crassus' in 1960's slave rebellion against the Roman Empire classic, Spartacus. 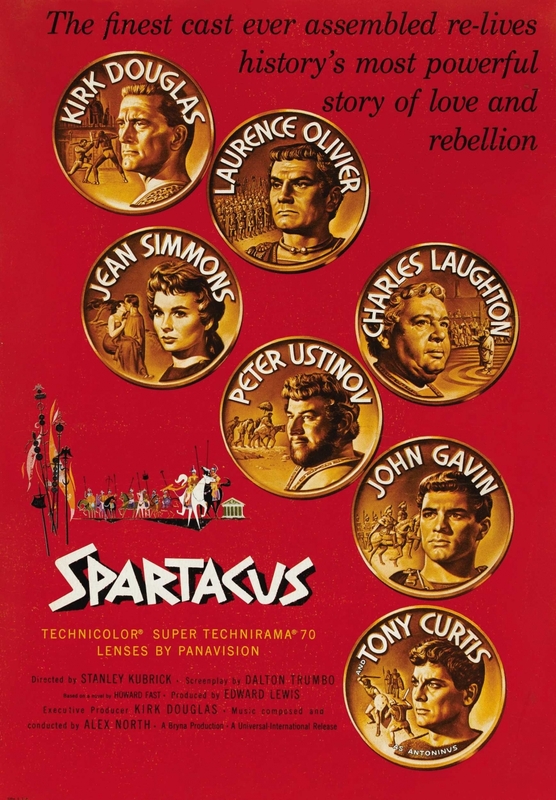 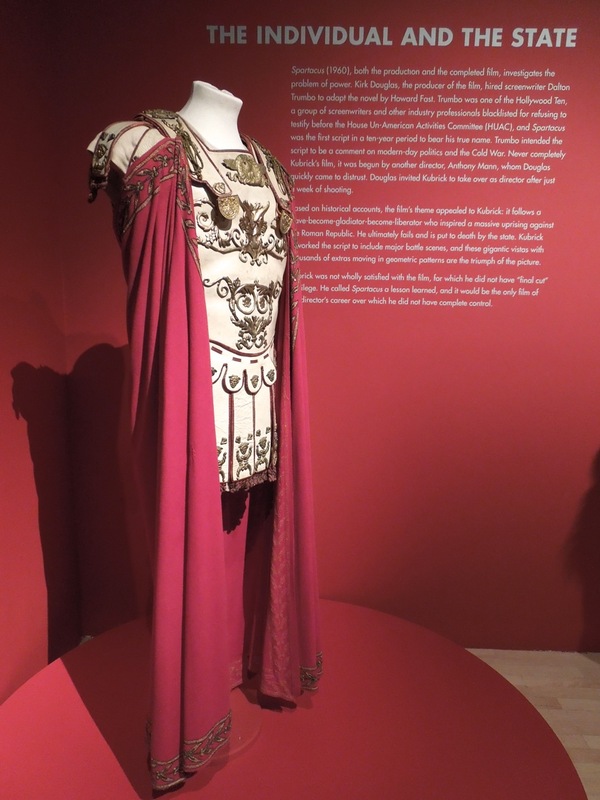 Arlington Valles and Bill Thomas shared the Best Costume Design Oscar for Spartacus. 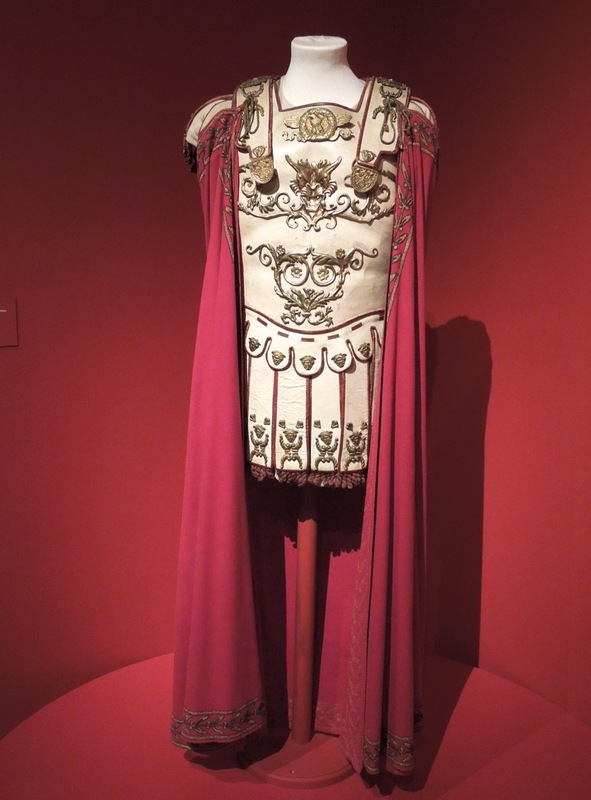 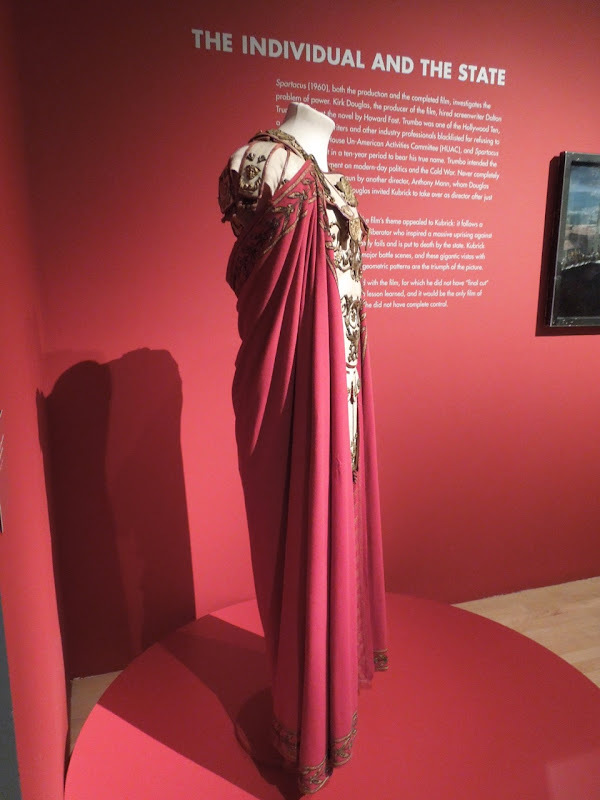 This costume was on display courtesy of the Costumi D'Arte Peruzzi, Rome, probably because Ruggero Peruzzi is credited with Costume and Wardrobe responsibilities for this historical movie. 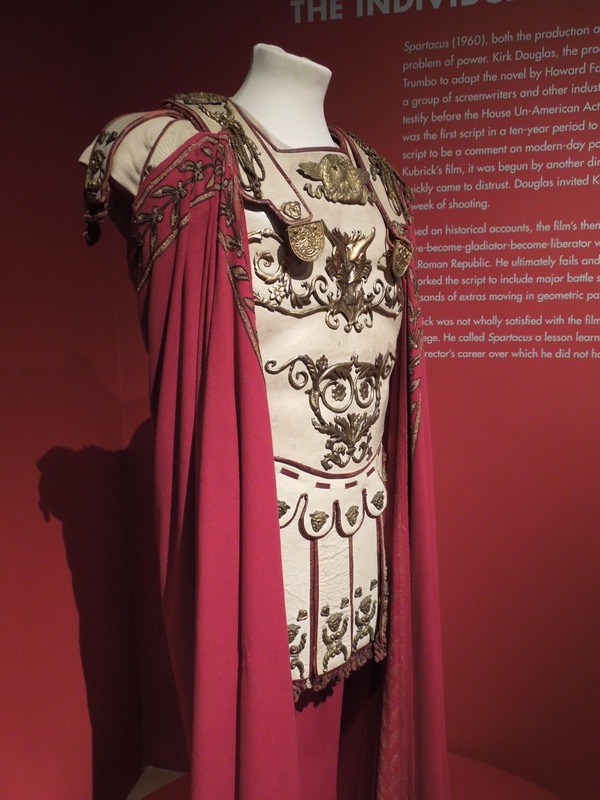 If you're a fan of the movie, be sure to check out these other original costumes and props from Spartacus on display.